www.mckcommercial.co.uk is a site operated by MCK Associates Limited (“We”). We are registered in England and Wales under company number 06773293 and have our registered office at [COMPANY ADDRESS]. We are a limited company.  Our main trading address is MCK Associates, Burnaby Villa, 48 Watling Street Road, Fulwood, Preston, Lancashire, PR2 8BP. Our VAT number is [VAT NUMBER]. From time to time, we may restrict access to our siteto users who have registered with us. For the purpose of the Data Protection Act 1998 (the Act), the data controller is [NAME] of MCK Associates, Burnaby Villa, 48 Watling Street Road, Fulwood, Preston, Lancashire, PR2 8BP. Our nominated representative for the purpose of the Act is [NAME].